So you might have noticed a couple of Mother’s Day promos have been popping up lately, and as much as you hate to admit it, you can’t lie that you forgot and have absolutely no clue (and/or no cash) as to what to get your mum for Mother’s Day. Truth be told, I don’t know what’s the perfect gift for my mum either. She doesn’t need another candle, and getting her another bag is just so I can borrow it whenever I’m bored with my own collection. One of the things I love about my mum is that she always cooks great food almost every single day without fail. So what better way to show her my appreciation than to treat her with great food with the skills she taught me? If mum is a classy lady who enjoys the occasional high tea session, a great way to impress is to her is to bake your own scones. Typically a teatime treat, a great cup of tea paired with scones and jam are an easy to create breakfast that will surely get a motherly nod of approval. We like Marcella Kriebel’s Strawberry Rhubarb scones (recipe here). Plus points given if you attempt making your own clotted cream and jam. To pack a punch, we sourced the world wide web in search for cool additions to amp up your breakfast scones for mum. We love Clipper Tea‘s classic blend of fruity and floral teas, and we believe they’d go well with Pantler‘s Strawberry and Rhubarb Jam. 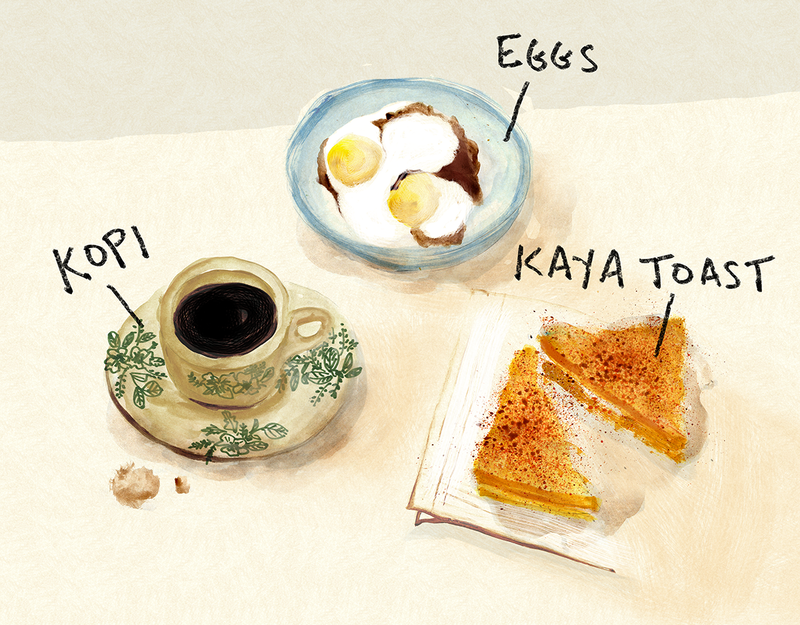 For interesting local flair, Ette Tea has creative flavour combinations, such as Chicken Rice and Nasi Lemak tea! Your mum is generally quite on trend. She’s adventurous and probably has tried and tested trends way before you have even heard of it. Surprise mum with a sweet and savory combination with a maple-bacon donut. 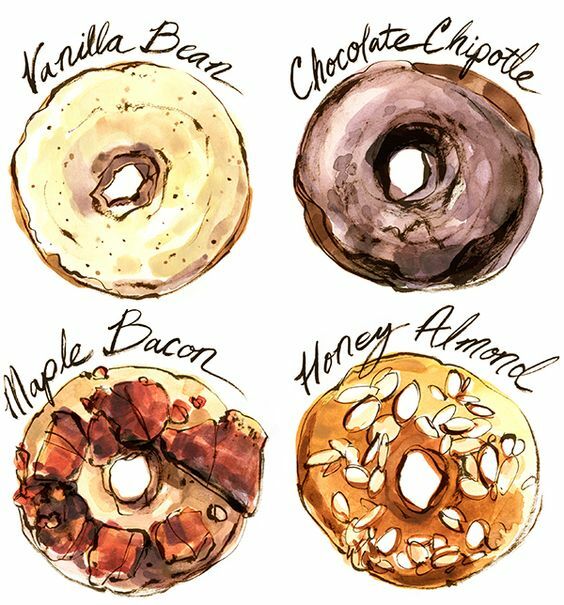 While not many might enjoy a cacophony of flavours in one shot, maple-bacon donuts are a fun yet simple recipe to try and makes for an entertaining morning breakfast. Alternatively, why not get your mum to join in all the baking fun? Tell her you’re making donuts, but make no mention of why your recipe calls for a pack of bacon and maple syrup. The entire estate knows who your mum is. She’s the one that is constantly bumping into her friends at the market, or the one who can strike a conversation with almost anyone at all. She wants nothing more other than good coffee and great company. Remember when you were younger and your mother would always assign someone older (and apparently more wiser) to spread your nutella or kaya on your bread for you? Remember when you couldn’t wait to spread as much velvety smooth peanut butter on your own piece of bread when you were older? Whether you have it at home or have a piece or two on from the little stall on your way to school, there’s just something incredibly homely and welcoming about great kaya on toast (recipe here). If you’re not too keen on the idea of cooking or doing anything in the kitchen to surprise your mum, a pleasant surprise would simply be joining her for breakfast this weekend. It’s not a lot, but your presence will surely be noticed. Our StyleMaker’s belief is that great gifts need not be extravagant or pricey (though we’ll never pass up a nice perfume or a well-made watch). At the end of the day, it’s a terrible feeling having to admit that most of us hardly ever spend good, quality time with our parents and often times, we don’t even make it a priority to schedule a time slot around them in the first place. Mother’s Day is the best day to show your appreciation to your mum, treat her like the queen that she is and shower her with all the affection and attention that’s long due and deserved. Gifts are great, and I’m sure she’ll love whatever you have to offer, but don’t forget that sometimes the time spent together with someone is the best gift ever. How do you plan on celebrating Mother’s Day? Tag us on Instagram, we’d love to see what you’ve prepared!